And about time too. Lane Cove in mourning. We bowled first at Penno on a typically slow / low rubbish sort of pitch. We didn't break through until the score was on 41... when the skipper was able to pick up 2 in 2 balls and then fired a scorching in-swinging yorker for his hat-trick ball that the batsman managed to get a little tickle on but unfortunately Wes wasn't able to glove it. Wes is said to be looking forward to doing battle at Kingsford-Smith next week. We continued to pick up wickets - even Byrney, who bowled a nice little spell which brought 2 wickets including his first Covie First Grade wicket. We had Penno at 7 for 180 odd after tea but unfortunately we weren't able to finish the job as we should have. The fielding and concentration went missing for about 90 minutes and the boobery that followed certainly cost us 50 to 70 runs. Penno ended up declaring at 9 for 288 and in reply we are 2 for 22 losing Fish (to an extremely arsie catch at pad-bad) and night watchman Sneaky (to an extremely slow straight one) from their opening bowler. If we show enough application and bat the overs next week we will win the match! The deck was fine. No one in 1st Grade can bowl. If we score more runs than them we will win the match! A vastly different 2nd Grade hosted Penno at the real Home of Cricket on Sydney's North Shore on Saturday, determined to continue the good form that sees us sitting 3rd. The removal of the covers exposed a green soft Tanty wicket, which made losing the toss and getting sent in inevitable for Bez. Pus and Paddy failed to handle the conditions and fell cheaply as it was left to Stoney and Dunny to build a score. Facing some absurdly short and even more absurdly full balls, they took the score to 49 before Dunny was sensationally stumped down the leg-side off a med for a gutsy 20. Stoney (34) was joined by Davo and they looked well set to take us to Tea before both of them and Granger were dismissed in quick succession to have us reeling at 6-90 at the break. After the break Hoody played his shots while wickets fell at the other end. Hoody (25) was eventually dismissed for a 2nd excellent leg-side stumping by the keeper and we were all out for 122. The plan was to attack from the outset, which was more than matched by the Penno opener who swung at every ball an smashed the skip out of the attack. The bowling change brought the result we were looking for with the 1st wicket falling at 32 to Dulux in the 8th over. Of that 32, 1 was a leg bye. The other 31 came from the one opener Dulux got out. For the next 20 overs, 9 more runs came - all from one end. Robbo, opening up, bowled 11 overs, 11 maidens. 1 for 0 (should have been 2 if not for a grassed chance). It was truly the most sensational spell of bowling I've seen at this level. He bowled 66 genuine dot balls with not a bad one amongst them. Sensational stuff. Penno are 4-41 overnight. With 80 runs to play with the boys are confident of getting the 6 extra poles required for a win and set up an exciting day two. 3's turned up to Pennant Hills No.2 Oval looking to maintain last week's SD momentum against the Pumas. The team was bolstered midweek after the late pull out of Wes and Byrne who were both inexplicably called up to 1's to bolster fines and keep the level of passengers even throughout the grades. Skipper Doherty somehow managed to sidestep and hurdle the 3000 little athletics kids to win the toss and bowl on a fairly lively surface early doors - logic being that we had no decent batsmen (no decent bowlers either really) but we had more bowlers so we may as well bowl. Been reading the Art of War or something, Michael? Shrewd stuff indeed. So after the standard Braveheart etc the Coves waltzed out onto the field with little to no interest and proceeded to waste the new ball. Deck was holding up a little bit and we just bowled a little bit too short and wiiiiiiiiiiiiiiiiiiiiiiiiiiiiiiiiiiiiiiiiiide. Penno managed to put together 141 after a reasonable dig from their left-handed number four who was so terrified of Louis Louis' short slow straight ones that he managed to dispatch consecutive deliveries into the forest - much to the dismay of a virile young couple taking in the natural scenery. Despite dropping probably 9 catches and bowling substandard zones we managed to do the job in the end spearheaded by everyone's favourite tall bald man Shorn Kenny Wow. Louis managed to take 3 excellent snares and Dohers didn't noodle a bowl so into the sheds and the boys looking okay. In the most boobish opening combination in the Club's 150 year history, Large ex-Skip Geof and soon to be large Dodds went out to open the batting. They batted quite patiently and put the odd bad ball away, compiling 64 before Geof spooned one straight to straight hit to be out for an unattractive 25. Dodds and Schooner then beavered away before Dodds missed a slow straight one to leave the Coves 2/106 and 30 odd shy of first innings points. Looking to Schooner and Cross Snr to get us the six points next week. The mighty 4's have the weekend off this week due to a dominant outright performance on day one against Penno. Before I go into detail I want to congratulate the seven Penno players who turned up and gave it their best shot on the weekend. They could have pulled the pin, complained and carried on but no they played the game in the right spirit even though they were seriously out gunned. Well done lads. After waiting around for a team to play we finally got started a little late after Penno won the toss and batted with seven players. Shingles and Coxy were on the job from the first ball and made the most of a deck with a little in it. Shingles was very unlucky not to have more than his one wicket, Coxy 3 poles and Broydy bowled two excellent overs to finish with 2 for 0. Penno all out for 38. Our turn at the crease was planned to have quick runs scored leaving enough time to bowl again later in the day. 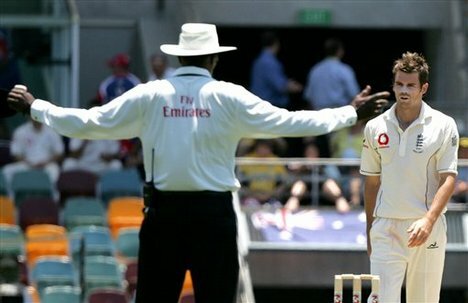 There is no truth to the vicious rumour I had anything to do with Dash making a duck to keep him in 4's, he was LBW. Pottsy almost made half the Penno score with three 6's in three balls, finally out for 23. Frenchy batted well and quickly to make 58 not out off only 36 balls with three 6's. Shingles made a handy 17 not out to put on 53 in only a few overs. We declared at the tea break 5 for 135 - a lead of 97 off only 18 overs with 47 overs left in the day. Get up to the other games and support the rest of the Covies this weekend, boys. Tails. Lost again. Again. Loser. Into the field - Boggle and Chewbacca opened up and did what all bowlers of higher grades do in 5th Grade - bowl an utterly useless and counter-productive line OUTSIDE off stump. Disappointing. Batsmen of a lesser ability cannot get near the ball. Either way, both bowled stupendously well - but ultimately unlucky with 1 or 2 each. Matt 'The Guvnor' Donegen bowled slow straight ones (which apparently work Alex...) to snare 5 poles with Sudsy Omo picking up a couple after bowling really well. Ultimately we restricted Lindfield to 136 from 45 overs. With the stick - Harls and Pappa opened up with a good start until LCCC lost our first (and only) wicket at 40 odd. This brought 'The Guvnor' to the crease who got to witness a Papa batting lesson (Papa does preach). Papa ended up retiring (craaaaaaazy fifth grade rule) after reaching 63 not out at better than a run a ball, including 12 boundaries. 'The Guvnor' saw out the innings with Sharples for a bonus point win. Training - It hasn't rained yet this week. Some of you may consider showing up this time. Ashes Lunch - Is on Thursday. If you haven't bought / paid for your ticket(s), please do so now. Movember - Is on Saturday. If you haven't bought / paid for your ticket(s), please do so now. NSW v Tasmania - The Speed Blitz Blues take on the Apple Island folk in a one-day match on Sunday December 12 at North Sydney Oval. Coves have been a bit of a fixture at this event in previous years, taking up much room on the hill and leaving behind great aluminium idols to their gods. If you would like a ticket or tickets to this event, contact Burt Dickardson at Brett.Richardson@cricketnsw.com.au and he will deliver them unto you. Fantasy League - Brett Richardson still leads. Should he win, Brett has agreed to donate all his winnings to some kind of bar tab, because that's exactly the kind of thing a good Club Captain would do.